Home Technology News Xbox One Launch – everything we have been waiting for? Xbox One was launched in 13 countries on Friday 22nd November and reportedly sold over one million units globally in the first 24 hours since it was launched. Over 500 stores within the UK opened their doors on Thursday at midnight and most sold out of the console immediately. But will Xbox One be able to stay the top selling console or will it be surpassed by Sony’s Playstation 4 which will be brought to the UK this coming Friday. The gaming market is worth roughly £1.77 billion in the UK alone, which leaves lots of room for new products and launches. These new consoles are more than just a gaming console. They are used as home entertainment hubs used to watch TV, films, make video calls and they can be used to browse the internet. John Lewis, amongst other retailers sold out of the Xbox One console within 2 hours. It is also predicted that the Xbox One will outsell the Playstation4 when it is released. With a re-worked Kinect motion control system, the new Xbox One games console appears to be ahead of the game for Christmas 2013, but only time will tell! The new console has some of its buttons replaced with subtle touch-sensitive buttons. There have also been tweaks to the Kinect, acting to navigate the dashboard and with face recognition this new motion sensor has been significantly improved. Xbox One can show off its new wide range of improvements and new features. It now has a variety of games that have already been launched, as well as on demand films, a higher connection with social gaming and the ability to stream TV through the Xbox itself. The launch of the Xbox One took place in Leicester Square, featuring a giant Xbox stage where, for the first ever time, a live concert was put on to bring this launch to life including Katy B amongst other stars. The signs in Leicester square were also changed to Xbox One Square X1, in honour of the launch. 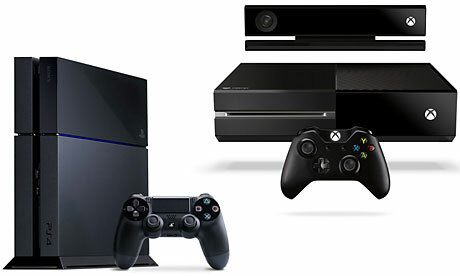 So how different are the Xbox One and the soon to be release Playstation 4? We have compared the 2 new consoles to give you an idea of the differences they hold, which might he you to decide which one to purchase! TV Dongles: How Do They Work?